the state on December 6 to commemorate the 60th death anniversary of Sarvajan ideologue and pantheon B R Ambedkar. hear the matter again on November 25.
wrongly denied their right to withdraw the money deposited by them. what steps it has taken so far to reduce inconvenience. saving the Constitution for democracy, equality, liberty and fraternity. notes from customers of other banks. notes (for outside customers),” IBA chairman Rajeev Rishi said. He, however, said senior citizens are exempted and they can go to any bank branch to exchange notes tomorrow. will be allowed to exchange notes at a branch of any bank. customers who have exchanged notes, the queues decreased. from opening the bank until police intervened in the afternoon. money to remain in the queue. Mukesh Kumar, manager of the Kaili bank branch. cooperation. The bank resumed work at around noon. 409 (criminal breach of trust) and 420 (cheating). 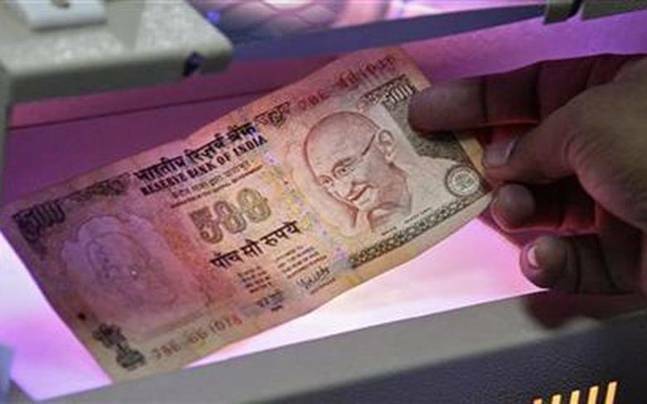 value currency notes including Rs 500 and 1000 on November 8.
and untraceable,” said the SP. all old currency notes, added Malhotra. Bahujan Samaj Party (BSP) President Mayawati address rallies and public meetings in run up to the crucial elections. dalit ideologue and pantheon B R Ambedkar. rules for usage during elections. Lok Sabha was adjourned today till Monday following uproar over banning of Rs 500 and Rs 1000 notes. democratic institutions (Modi)’s reply in the House. Psychopaths) said it will raise the issue in Rajya Sabha today. September this year because of Modi’s Queue India Movement. apology by Azad, who is the Leader of Opposition in Rajya Sabha. Modi today allowed dispensing cash of up to Rs 2000 through debit or credit cards at select petrol pumps across the country. The drive to purge black money from the economy has, at a stroke, wiped out 86 per cent of the money in circulation. 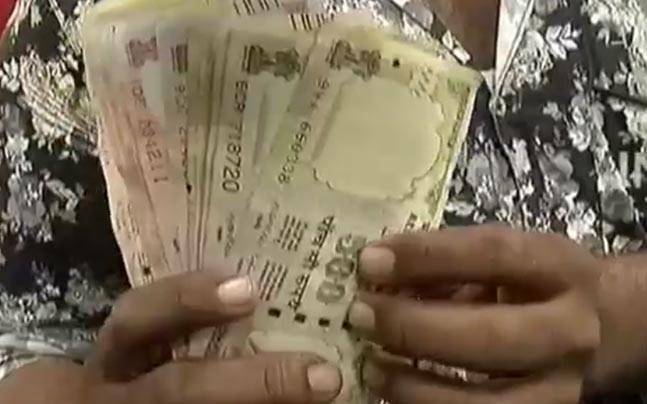 tax cheats, an India Today investigation has found. India Today discovered how some unscrupulous elements were out to abuse the ambitious project designed to end chronic poverty. promises to cut corruption and middlemen inefficiencies. black money to stash away their illicit wealth. clandestinely into Jan Dhan accounts. are many Jan Dhan accounts. There are agriculture (-related accounts). reporters, who met him at a coffee shop in Delhi. He insisted he could deposit black money safely into various Jan Dhan accounts he had helped open. The depositors, he said, would get 50 per cent of the money back in white in April and May next year. contribution to the Digital India campaign. His relative Zubair, a Delhi-based builder, also offered to transfer the tax loot to third-party accounts fraudulently. in 500 and 1,000 bills. (from tax authorities). You tell me how much you would pay me,” he said. Quickly, he specified that his commission would be 10 percent. Ministry of Finance expands on its conclusions. disarray. But many facing hardship support the government’s move. But is demonetisation good for our country ? research institution, has published a working paper, which concluded that demonetisation is “a large shock to the economy”. demand, which might trigger other adverse economic effects. What will be the extent of the compression of consumer demand? reasonable basis to say much about these numbers. factoring in the effect of the compression in demand in the economy. What will the impact of compression of demand on the economy? you don’t yet have the new currency, so you can’t buy. pretty much everything to be hit. What will be the second round of impact? the impact will be felt pretty much across the board. How long will be the transition period? make purchases on PayTM? Will he learn that in three months? which means you need to know how to read. time to get large numbers of people to move to non-cash instruments. Dr Kavita Rao, lead author of the paper. and expand the availability of credit. demonetisation, there might not be any takers for credit. well, that might not be enough to stimulate a demand for investment. government bonds, for want of a better asset. None of this tends to be expansionary. In your paper, you caution against the ballooning of consumer debt. and people tend to overspend. spending but also consumer debt. 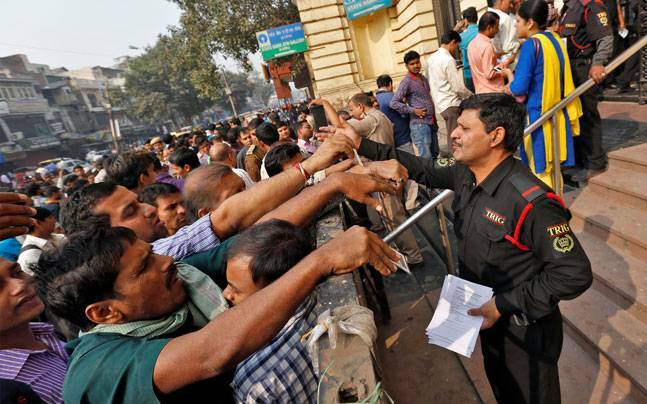 How will the move impact the generation of black money? the world has gone digital, there is no black money. generation in the economy changes. change people’s behaviours and perceptions on earning black incomes. formal sector. We as a nation still have to do that convincing. large numbers of people on a torturous path to put a few people on the clean and narrow. better means walking another mile. What will be the impact on inflation? The author of a paper published by a think-tank under the Ministry of Finance expands on its conclusions. Democratic Alliance government over public policy issues. the Maoists in Chhattisgarh – unconstitutional. on the war in the heart of India”. coastline and illegal mining in Adivasi areas. Modi on the latter’s policy initiatives against black money. the subject. I enclose a copy of that letter for your ready reference. enclose a copy of that report for your perusal. shoulders with Shri Janardhana Reddy at the pre-wedding functions. rouse the conscience of any patriotic Indian. resources for all this obscene display of affluence. non-committal in this particular case? the speeches that were broadcast nationwide during the last few days. to deter the others from violating the law of the land. I had earlier suggested tangible steps for you to consider. Regulation Act, as the amendment compromises the national interest. functionaries who have illicit offshore accounts. Trace their benami properties and get them attached. Announce that your party at least will subject itself to the RTI Act. displayed in demonetising higher currency notes may lose its momentum. ਤਿਆਰੀ ਕਰ ਕੀਤਾ ਜਾ ਨੂੰ ਕਿਹਾ ਗਿਆ ਹੈ. ਭਾਰਤ ਦੇ ਚੀਫ ਜਸਟਿਸ ਨੂੰ ਹੋਰ ਨੇ ਕਿਹਾ ਕਿ ਉੱਥੇ ਇੱਕ ਦੰਗਾ-ਵਰਗੇ ਹਾਲਾਤ ਨੂੰ ਹੋਣਾ ਸੀ, ਜੇ ਸਾਨੂੰ ਅਦਾਲਤ ਦਾ ਆਉਣ ਤੱਕ ਲੋਕ ਨੂੰ ਰੋਕਣ. ਚੋਟੀ ਦੇ ਅਦਾਲਤ ਨੇ 25 ਨਵੰਬਰ ਨੂੰ ਮੁੜ ਕੇ ਇਸ ਮਾਮਲੇ ਨੂੰ ਸੁਣਨਗੇ. ਚੀਫ ਜਸਟਿਸ ਨੇ ਅੱਗੇ ਕਿਹਾ ਕਿ ਉਥੇ ਹੋਣਾ ਸੀ ‘ਇੱਕ ਦੰਗਾ-ਵਰਗੇ ਹਾਲਾਤ ਦਾ, ਜੇ ਸਾਨੂੰ ਅਦਾਲਤ ਦਾ ਆਉਣ ਤੱਕ ਲੋਕ ਨੂੰ ਰੋਕਣ’. ਚੋਟੀ ਦੇ ਅਦਾਲਤ ਨੇ 25 ਨਵੰਬਰ ਨੂੰ ਮੁੜ ਕੇ ਇਸ ਮਾਮਲੇ ਨੂੰ ਸੁਣਨਗੇ. ਲਈ ਇੱਕ ਤਬਾਦਲਾ ਪਟੀਸ਼ਨ ਜਾਣ ਚਾਹੀਦਾ ਹੈ. (ਮੋਦੀ) ਦੇ ਤਾਨਾਸ਼ਾਹ ਕਾਤਲ ਬੀਮਾਰ ਦੀ ਸਥਿਤੀ ਨਾਲ ਨਜਿੱਠਣ ਲਈ ਤਿਆਰ ਹੈ. ਨੇ ਦਲੀਲ ਦਿੱਤੀ ਹੈ ਕਿ ਦੇਸ਼ ਦੀ ਸਮਰੱਥਾ ਇਸ ਨੂੰ ਤੇਜ਼ੀ ਨਾਲ ਵੱਡੀ ਗਿਣਤੀ ਵਿੱਚ ਨੋਟ ਛਾਪਣ ਲਈ ਹੈ, ਨਾ ਹੈ. Sibbal ਨੂੰ ਹੋਰ ਸੁਝਾਅ ਹੈ, ਜੇ ਸਰਕਾਰ ਨੇ ਛੇਤੀ ਕੰਮ ਨਹੀ ਕਰਦਾ ਹੈ, ਇੱਕ ‘ਦੰਗਾ-ਵਰਗੀ ਸਥਿਤੀ’ ‘ਉਥੇ ਹੋ ਸਕਦਾ ਹੈ, ਜੋ ਕਿ. Sibbal ਦੀ ਦਲੀਲ ਕੀਤਾ ਗਿਆ ਹੈ, ਜੋ ਕਿ ਲੋਕ ਗਲਤ ਪੈਸੇ ਦੇ ਕੇ ਜਮ੍ਹਾ ਵਾਪਸ ਲੈਣ ਲਈ ਆਪਣੇ ਸੱਜੇ ਇਨਕਾਰ ਕੀਤਾ ਗਿਆ ਹੈ. ਫਿਰ 25 ਨਵੰਬਰ ਨੂੰ ਮਾਮਲੇ ਦੀ ਸੁਣਵਾਈ ਕਰੇਗਾ. ਚੋਣ ਦੀ ਲੋਕ ਸਭਾ ਚੋਣ ਦੇ ਸਾਰੇ ਸੀਟ ਹਾਰ ਗਏ. ‘ਪਾਰਦਰਸ਼ਤਾ ਵਧਾਉਣ’ ਦਾ ਇਲੈਕਟ੍ਰਾਨਿਕ ਵੋਟਿੰਗ ਮਸ਼ੀਨ. ਹੈ ਦੇ ਲਈ ਕਦੇ ਵੀ ਹੁਕਮ ਦਿੱਤੇ ਹਨ. ਵਿਵਸਥਾ ਨੂੰ ਖਾਰਜ ਕਰਨਾ ਚਾਹੀਦਾ ਹੈ. اجتماعات منعقد کرنے کی تیاری کرنے کے لئے کہا جاتا ہے. بھارت کے چیف جسٹس نے مزید کہا کہ فسادات جیسی صورتحال سے ہم عدالتوں میں آنے سے لوگوں کو روکنے تو نہیں ہو گی کہ مشاہدہ. عدالت عظمی نے 25 نومبر کو دوبارہ معاملے کی سماعت کرے گا. چیف جسٹس نے مزید کہا کہ ‘ایک فسادات جیسی صورتحال سے ہم عدالتوں میں آنے سے لوگوں کو روکنے تو’ وہاں ہو جائے گا کہ مشاہدہ. عدالت عظمی نے 25 نومبر کو دوبارہ معاملے کی سماعت کرے گا. بڑھنے کی ضرورت ہے انہوں نے کہا کہ. اداروں (مودی) کے ڈکٹیٹر قاتل بیمار صورتحال سے نمٹنے کے لئے لیس ہے کہ. انہوں نے مزید کہا کے ملک اتنی جلدی بڑی تعداد میں نوٹوں کو پرنٹ کرنے کی صلاحیت نہیں ہے کہ دلیل دی. سببل مزید ایک ‘فسادات جیسی صورتحال’ نہیں ہو سکتا ہے کہ حکومت جلد عمل نہیں کرتا تو تجویز دی. سببل کی دلیل لوگ غلطی سے ان کی طرف سے جمع رقم واپس لینے کے حق سے محروم رکھا گیا ہے کہ کیا گیا ہے. نے ایک بار پھر 25 نومبر کو معاملے کی سماعت کرے گا. کیونکہ کاغذ ووٹ کے استعمال کے نشستوں کی اکثریت حاصل کی. ‘شفافیت بڑھانے’ کے لئے الیکٹرانک ووٹنگ مشینیں. استعمال کیا جاتا ہے کے لئے حکم دیا کبھی نہیں کہتی. ریاستی حکومتوں و امان کو برطرف کرنا ضروری ہے. স্মরণ করার প্রস্তুতি করা হয়েছে. ভারতের প্রধান বিচারপতি আরও বলেন যে, সেখানে একটি দাঙ্গা-মত অবস্থা হবে যদি আমরা আদালতে আসছে থেকে মানুষ থামাতে. শীর্ষ আদালত 25 নভেম্বর আবার ব্যাপার শুনবে. CJI আরও বলেন যে, সেখানে হবে ‘একটি দাঙ্গা-মত অবস্থা যদি আমরা আদালতে আসছে থেকে মানুষ থামাতে’. শীর্ষ আদালত 25 নভেম্বর আবার ব্যাপার শুনবে. একটি স্থানান্তর আবেদন সরানো হবে. সজ্জিত করা হয়. তিনি আরও যুক্তি দেখান যে, দেশের ক্ষমতা যাতে দ্রুত বিপুল সংখ্যক নোট মুদ্রণ করতে নেই. Sibbal আরও প্রস্তাব যদি সরকার দ্রুততার সঙ্গে কাজ করেন না একটি ‘দাঙ্গা-মত অবস্থা’ সেখানে হতে পারে. Sibbal যুক্তিকেই হয়েছে যে মানুষ ভুলভাবে টাকা তাদের দ্বারা জমা উঠাতে তাদের অধিকার থেকে বঞ্চিত করা হয়েছে. ‘স্বচ্ছতা বাড়াতে’ থেকে ইলেকট্রনিক ভোটিং মেশিন. বর্তমান সিইসি বলেন যে সমগ্র fraus ইভিএম 2019. প্রতিস্থাপন করা হবে সে কাগজ ব্যালট যে বিশ্বের 80 গণতন্ত্রে ব্যবহৃত হয় না আদেশ. সরকার ও অর্ডার খারিজ হবে. ಸಾರ್ವಜನಿಕ ಸಭೆಗಳನ್ನು ತಯಾರಿ ಎಂದು ಹೇಳಲಾಗುತ್ತದೆ. ನಿಲ್ಲಿಸಿದಲ್ಲಿ ಒಂದು ಗಲಭೆ ತರಹದ ಪರಿಸ್ಥಿತಿ ಇರುತ್ತದೆ ಎಂದು ಆಚರಿಸಲಾಗುತ್ತದೆ. ಉಚ್ಚ ನ್ಯಾಯಾಲಯವು ನವೆಂಬರ್ 25 ರಂದು ಮತ್ತೆ ಮ್ಯಾಟರ್ ಕೇಳುವಿರಿ. ಸಿಜೆಐ ಮತ್ತಷ್ಟು ‘ನಾವು ನ್ಯಾಯಾಲಯಗಳು ಬರುವುದನ್ನು ಜನರು ನಿಲ್ಲಿಸಿದಲ್ಲಿ ಒಂದು ಗಲಭೆ ತರಹದ ಸನ್ನಿವೇಶ’ ಎಂದು ಆಚರಿಸಲಾಗುತ್ತದೆ. ಉಚ್ಚ ನ್ಯಾಯಾಲಯವು ನವೆಂಬರ್ 25 ರಂದು ಮತ್ತೆ ಮ್ಯಾಟರ್ ಕೇಳುವಿರಿ. ಒಂದು ವರ್ಗಾವಣೆ ಅರ್ಜಿ ನಡೆಸಬೇಕಾಗುತ್ತದೆ ಎಂದು ಹೇಳಿದರು. ನಿಭಾಯಿಸಲು ಅಳವಡಿಸಿರಲಾಗುತ್ತದೆ ಪ್ರತಿಪಾದಿಸಿದರು. ಅವರು ಮತ್ತಷ್ಟು ದೇಶದ ಬೇಗ ದೊಡ್ಡ ಸಂಖ್ಯೆಯಲ್ಲಿ ಟಿಪ್ಪಣಿಗಳು ಮುದ್ರಿಸಲು ಸಾಮರ್ಥ್ಯವನ್ನು ಹೊಂದಿಲ್ಲ ಎಂದು ವಾದಿಸಿದರು. Sibbal ಮುಂದಿನ ಸರ್ಕಾರದ ತ್ವರಿತವಾಗಿ ವರ್ತಿಸುವ ಇಲ್ಲ ಆದರೂ, ಒಂದು ‘ಗಲಭೆ-ತರಹದ ಸನ್ನಿವೇಶ’ ಎಂದು ಅಭಿಪ್ರಾಯಪಟ್ಟಿದ್ದಾರೆ. Sibbal ವಾದವನ್ನು ಜನರು ತಪ್ಪಾಗಿ ಅವರಿಂದ ಠೇವಣಿ ಹಣ ಹಿಂತೆಗೆದುಕೊಳ್ಳಲು ತಮ್ಮ ಹಕ್ಕನ್ನು ನಿರಾಕರಿಸಲಾಗಿದೆ ಎಂದು ಬಂದಿದೆ. ಮತಪತ್ರಗಳನ್ನು ಬಳಕೆಯ ಸ್ಥಾನಗಳನ್ನು ಬಹುತೇಕ ಸಾಧಿಸಿದೆ. ‘ಪಾರದರ್ಶಕತೆ ಹೆಚ್ಚಿಸಲು ವಿದ್ಯುನ್ಮಾನ ಮತದಾನ ಯಂತ್ರಗಳು. ದೊಡ್ಡ ಆಸಕ್ತಿ ಕಾಗದದ ಮತಪತ್ರಗಳನ್ನು ಚುನಾವಣೆಯಲ್ಲಿ ಮರು. സംസ്ഥാന പൊതുയോഗങ്ങൾ ഹോൾഡ് തയ്യാറെടുക്കുന്നതായി പറയപ്പെടുന്നു. നിർത്തുകയാണെങ്കിൽ കലാപം പോലുള്ള സാഹചര്യം ഉണ്ടാകും എന്നു നിരീക്ഷിച്ചു. കോടതി നവംബർ 25 ന് വീണ്ടും വാദം കേള്ക്കാനായി. സാഹചര്യം’ ഉണ്ടായിരിക്കണമെന്ന ബാലകൃഷ്ണൻ കൂടുതൽ നിരീക്ഷിച്ചു. കോടതി നവംബർ 25 ന് വീണ്ടും വാദം കേള്ക്കാനായി. സാഹചര്യം കൈകാര്യം സജ്ജീകരിച്ചിരിക്കുന്നു വാദിക്കുന്നു. അവൻ രാജ്യത്ത് ഇത്ര വേഗത്തിൽ വലിയ തോതിലുള്ള കുറിപ്പുകൾ അച്ചടിക്കാൻ ശേഷി ഇല്ല വാദിച്ചു. Sibbal സർക്കാർ തീര്പ്പാക്കുന്നതിന് പ്രവർത്തിക്കാൻ ഇല്ല എങ്കിൽ ഒരു ‘കലാപം പോലുള്ള സാഹചര്യം’ ഉണ്ടാകാൻ കഴിഞ്ഞില്ല നിർദ്ദേശിച്ചു. Sibbal വാദം ജനം ആയിരിക്കുന്നു എന്നു തെറ്റായി അവരാൽ നിക്ഷേപിക്കപ്പെട്ട പണം പിൻവലിക്കാൻ അവകാശം നിഷേധിച്ചു. ‘സുതാര്യത വർദ്ധിപ്പിക്കാനും’ ഇലക്ട്രോണിക് വോട്ടിംഗ് യന്ത്രം. പേപ്പർ ബാലറ്റുകൾ വേണ്ടി ഉത്തരവിട്ടു ഒരിക്കലും പറയുന്നു. भारताचे मुख्य न्यायाधीश पुढील आम्ही न्यायालयात येत लोक थांबवू तर एक दंगा परिस्थिती होईल की साजरा केला. सर्वोच्च न्यायालयाने 25 नोव्हेंबर रोजी पुन्हा सुनावणी होईल. CJI आणखी असे की, तेथे ‘आम्ही न्यायालयात येत लोक थांबवू तर दंगा परिस्थिती’ होईल साजरा. सर्वोच्च न्यायालयाने 25 नोव्हेंबर रोजी पुन्हा सुनावणी होईल. हस्तांतरण याचिका हलवू आवश्यक आहे. म्हणाले. पुढे त्या देशात इतक्या लवकर मोठ्या संख्येने नोट्स मुद्रित करण्याची क्षमता आमच्यात नाही असा दावा. Sibbal पुढे ‘दंगा परिस्थिती तेथे असू शकते, असे सरकारने त्वरेने काम नाही तर सुचविले. Sibbal युक्तिवाद लोक तसं त्यांना जमा पैसे त्यांच्या उजव्या नकार दिला जात आहे की आहे. न्यायालयात पुन्हा 25 नोव्हेंबर रोजी सुनावणी होईल. ‘वाढविण्यासाठी पारदर्शकता’ इलेक्ट्रॉनिक मतदान यंत्रे. वापरले जातात की मागवले कधीच असे तो म्हणतो. என்றால் ஒரு கலக போன்ற நிலைமையை இருக்கும் என்று அனுசரிக்கப்பட்டது. மேல் நீதிமன்றம் நவம்பர் 25 ம் திகதி மீண்டும் விஷயம் கேட்க வேண்டும். ‘நாங்கள் நீதிமன்றங்கள் வருவதை மக்கள் நிறுத்த என்றால் ஒரு கலக போன்ற நிலைமையை’ இருக்கும் என்று தலைமை மேலும் அனுசரிக்கப்பட்டது. மேல் நீதிமன்றம் நவம்பர் 25 ம் திகதி மீண்டும் விஷயம் கேட்க வேண்டும். பரிமாற்ற மனு நகர்த்த வேண்டும் என்று மேல் நீதிமன்றம் இன்று தெரிவித்தார். சமாளிக்க ஆயுதம் என்று வலியுறுத்தினார். அவர் மேலும் நாட்டின் இவ்வளவு சீக்கிரம் பெரும் எண்ணிக்கையில் குறிப்புகள் அச்சிட திறன் இல்லை என்று வாதிட்டார். Sibbal மேலும் அரசாங்கம் துரிதமாகச் செயல்பட முடியாது என்றால் அங்கு ஒரு ‘கலக போன்ற நிலைமை’ இருக்க முடியும் என்று கூறினார். Sibbal வாதம் பேர் தவறாக அவர்களுக்கு மூலம் டெபாசிட் பணத்தை திரும்ப உரிமையை என்று வருகிறது. வாக்குகள் பயன்பாடு முன்னணி பெரும்பான்மை ஆசனங்களை வென்றது. 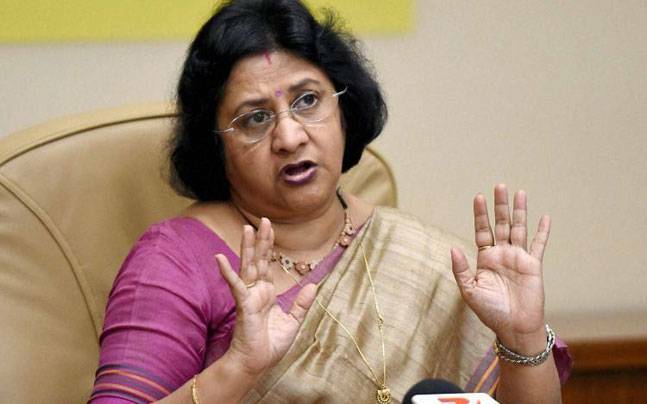 ‘வெளிப்படைத்தன்மை அதிகரிக்க’ மின்னணு வாக்குப் பதிவு இயந்திரங்கள். న రాష్ట్ర వ్యాప్తంగా బహిరంగ సభలు నిర్వహించాలని సిద్ధమవుతున్న చెబుతారు. ఆపడానికి ఉంటే అల్లర్లు-వంటి పరిస్థితి ఉండొచ్చు గమనించారు. టాప్ కోర్టు నవంబర్ 25 న మరొకసారి విషయం వినడానికి ఉంటుంది. సిజెఐ మరింత ‘మేము కోర్టులు వస్తున్న నుండి ప్రజలు ఆపడానికి ఉంటే అల్లర్లు-వంటి పరిస్థితి’ ఉండొచ్చు గమనించారు. టాప్ కోర్టు నవంబర్ 25 న మరొకసారి విషయం వినడానికి ఉంటుంది. వ్యవహరించే కలిగి స్థిరపరచాడు. అతను మరింత దేశం కాబట్టి త్వరగా పెద్ద సంఖ్యలో నోట్లు ప్రింట్ సామర్థ్యం కలిగి లేదు అని వాదించాడు. Sibbal మరింత ప్రభుత్వం వేగవంతంగా పని చెయ్యకుండా ఒక ‘అల్లర్లు లాంటి పరిస్థితిని’ అక్కడ ఉండవచ్చని సూచించింది. Sibbal యొక్క వాదన ప్రజలు తప్పుగా వాటిని పేరుకుపోయిన డబ్బును వారి కుడి తిరస్కరించబడింది ఉంది. విషయంలో సుప్రీంకోర్టు నవంబర్ 25 న విషయం వినడానికి ఉంటుంది. ‘పారదర్శకత విస్తరించేందుకు ఎలక్ట్రానిక్ ఓటింగ్ యంత్రాలు. అన్ని రాష్ట్ర ప్రభుత్వాలు మరియు క్రమంలో కొట్టి ఉండాలి. ڪرڻ لاء تيار ڪيو وڃي ٿو چيو وڃي ٿو. هندستان جي چيف جسٽس وڌيڪ هتان ته اتي هڪ فاقن-وانگر صورتحال وڃي ها ته اسان کي عدالتن کي اچڻ کان ماڻهن کي روڪي. سنڌ جي اعلي عدالت 25 نومبر تي ٻيهر معاملي تي ٻڌي ويندي. هن CJI وڌيڪ هتان ته اتي وڃي ها ‘هڪ فاقن-وانگر صورتحال ته اسان کي عدالتن کي اچڻ کان ماڻهن کي روڪي’. سنڌ جي اعلي عدالت 25 نومبر تي ٻيهر معاملي تي ٻڌي ويندي. (مودي) جي آمر قتل بيمار جي صورتحال سان ڊيل ڪرڻ لاء ليس آهي. هن وڌيڪ دليل آهي ته هن ملڪ جي گنجائش وڏي انگ ۾ نوٽس اشاعتي پوء جلدي نه ڪندو آھي. Sibbal وڌيڪ تجويز هڪ ‘فاقن-وانگر صورتحال’ اتي ٿي سگهي ٿو ته جيڪڏهن حڪومت expeditiously ڪم نه ايندي آهي. Sibbal جي حجت ڪئي وئي آهي ته ماڻهن کي ڏنا ويا آهن حقيقت آهي ته پئسا انھن جي طريقي سان پاسو ڪري سندن حق منع ڪئي. 25 نومبر تي سنڌ جي معاملي تي ٻڌي ويندي. جي، ڇاڪاڻ ته هن ريت جي اڪثريت جت. اليڪٽرانڪ ووٽنگ مشينن ‘شفافيت وڌائڻ’ کي. لاء ڪڏهن به حڪم ڏنو. ແລະ pantheon B R Ambedkar. The CJI ສັງເກດຕື່ມອີກວ່າຈະມີການ ‘ສະຖານະການສົງຄາມຄ້າຍຄືຖ້າຫາກວ່າພວກເຮົາຢຸດເຊົາການປະຊາຊົນຈາກການຮ່ວມມືສານປະຊາຊົນ. ການສານເທິງຈະໄດ້ຍິນເລື່ອງນີ້ອີກເທື່ອຫນຶ່ງໃນວັນທີ 25 ພະຈິກ. ຜູ້ຕາງຫນ້າໄດ້ທັດສະນະວ່າປະເທດບໍ່ມີຄວາມສາມາດໃນການພິມອ່ືນຢູ່ໃນຈໍານວນຂະຫນາດໃຫຍ່ນັ້ນຢ່າງວ່ອງໄວ. Sibbal ແນະນໍາຕື່ມອີກວ່າບໍ່ມີສາມາດຈະເປັນສະຖານະການສົງຄາມຄ້າຍຄື “ຖ້າຫາກວ່າລັດຖະບານບໍ່ໄດ້ປະຕິບັດໄວ. ການໂຕ້ຖຽງ Sibbal ຂອງໄດ້ວ່າປະຊາຊົນໄດ້ຮັບການປະຕິເສດ wrongly ສິດທິຂອງເຂົາເຈົ້າທີ່ຈະຖອນເງິນຝາກໂດຍໃຫ້ເຂົາເຈົ້າ. ປັດຈຸບັນ CEC ກ່າວວ່າ Frau ທັງຫມົດ EVMS ຈະໄດ້ຮັບການທົດແທນໃນ 2019. ප්රසිද්ධ රැස්වීම් පැවැත්වීමට සූදානම් කළ යුතු බව පැවසේ. ඉන්දියාවේ අගවිනිසුරු තවදුරටත් අප අධිකරණයට පැමිණෙන ජනතාව නතර නම් කැරලි මර්දන-වැනි තත්ත්වය ඇති විය හැකි බව නිරීක්ෂණය කරන ලදී. ඉහළ අධිකරණ නොවැම්බර් 25 වැනිදා යළි කාරණය අසා ඇත. මෙම CJI තවදුරටත් ‘අපි අධිකරණයට පැමිණෙන ජනතාව නතර නම් කැරලි මර්දන-වැනි තත්ත්වය’ සිදු වන බව නිරීක්ෂණය කරන ලදී. ඉහළ අධිකරණ නොවැම්බර් 25 වැනිදා යළි කාරණය අසා ඇත. මාරුවක් පෙත්සම ගමන් කළ යුතු බව සඳහන් කළේය. අවධාරණය කරයි. ඔහු තව දුරටත් රට කෙතරම් ඉක්මනින් විශාල වශයෙන් සටහන් මුද්රණය කිරීම සඳහා ඇති හැකියාව නැති බව තර්ක කලේය. Sibbal තවදුරටත් රජය විසින් කඩිනමින් කටයුතු කරන්නේ නැහැ නම් ‘කැරලි මර්දන-වැනි තත්ත්වය’ ඇති විය හැකි බවට ඔවුන් යෝජනා කරයි. Sibbal තර්කය වැරදි සහගත ලෙස ඔවුන් විසින් තැන්පත් මුදල් ආපසු අයිතිය අහිමි ජනතාව කර ඇති බව වී ඇත. නියමිතව ඇත විට ශ්රේෂ්ඨාධිකරණය නැවත නොවැම්බර් 25 දා මේ කාරණය අසා ඇත. භාවිතය පිළිබඳ බහුතර ආසන දිනා ගැනීමට සමත් විය. ‘විනිවිද වැඩි දියුණු’ වෙත විද්යුත් ඡන්ද යන්ත. ශ්රී ලංකා මහ සියලු රාජ්ය ආණ්ඩු හා සාමය සේවයෙන් ඉවත් කළ යුතුය. tưởng Sarvajan và pantheon B R Ambedkar. Chánh Ấn Độ tiếp tục quan sát thấy rằng sẽ có một tình huống bạo loạn giống như nếu chúng ta ngăn chặn mọi người đến tòa án. Tòa án cao nhất sẽ xử vấn đề một lần nữa vào ngày 25 tháng 11. Các CJI xét tiếp rằng sẽ có “một tình huống bạo loạn giống như nếu chúng ta ngăn chặn mọi người đến tòa án. Tòa án cao nhất sẽ xử vấn đề một lần nữa vào ngày 25 tháng 11.
chuyển cho tất cả các trường hợp để xử bởi Tòa án Tối cao Delhi. trang bị để đối phó với tình hình. Ông lập luận rằng đất nước không có khả năng in các ghi chú trong một số lượng lớn một cách nhanh chóng. Sibbal thêm gợi ý rằng có thể có một “tình hình bạo loạn giống như ‘nếu chính phủ không hành động khẩn trương. Lập luận của Sibbal đã được rằng người đã bị từ chối sai quyền của họ để rút tiền gửi của họ. bước nó đã thực hiện cho đến nay để giảm bớt sự bất tiện. cử Lok Sabha vì những cuộc bầu cử gian lận. máy bỏ phiếu điện tử để “tăng cường minh bạch”. 80 quốc gia dân chủ trên thế giới. pháp dân chủ, bình đẳng, tự do và tình huynh đệ. herdenking van Sarvajan ideoloog en panteon B R Ambedkar herdenk. situasie sou wees as ons ophou om mense uit te kom om howe. Die top hof sal die saak weer te hoor op 25 November. Die CJI verder waargeneem dat daar ‘n oproer-agtige situasie as ons ophou om mense uit te kom om howe se sou wees. Die top hof sal die saak weer te hoor op 25 November. petisie vir alle gevalle te hoor deur die Delhi Hooggeregshof te beweeg. toegerus om te gaan met die situasie. Hy het verder aangevoer dat die land die vermoë om notas in groot getalle so vinnig druk het nie. Sibbal voorgestel verder dat daar ‘n “oproer-agtige situasie” kan wees as die regering nie spoedig kom optree. argument Sibbal se is dat die mense is verkeerdelik hul reg om die geld gedeponeer deur hulle te onttrek ontken. elektroniese stem masjiene om ‘verbeter deursigtigheid. Die Present CEC sê dat die hele Fraus EVMS sal vervang word in 2019.
trazirave, si në qoftë se ne të ndaluar njerëzit të vijnë tek gjykatat. Gjykata e lartë do të dëgjojë çështjen përsëri më 25 nëntor. CJI tej vërejti se nuk do të jetë “një situatë të trazirave, si në qoftë se ne të ndaluar njerëzit të vijnë tek gjykatat”. Gjykata e lartë do të dëgjojë çështjen përsëri më 25 nëntor. për të gjitha rastet për të dëgjuar nga Gjykata e Lartë Delhi. drejtën e tyre për të tërhequr paratë e depozituara nga ana e tyre. makinat elektronike të votimit deri në “rritjen e transparencës”. KQZ pranishëm thotë se gjithë fraus EVMS do të zëvendësohet në 2019.
përdorur në 80 demokracive në botë. ህንድ ዋና ፍትሕ ተጨማሪ እኛ ፍርድ ቤቶች መምጣት ሰዎች ለማቆም ከሆነ ሁከት-እንደ ሁኔታ እንደሚኖር ተናግረዋል. የላይኛው ፍርድ ቤት ኅዳር 25 ላይ እንደገና ጉዳዩን ይሰማሉ. የ CJI ተጨማሪ ‘እኛ ፍርድ ቤቶች መምጣት ሰዎች ለማቆም ከሆነ ሁከት-የሚመስል ሁኔታ’ እንደሚኖር ተናግረዋል. የላይኛው ፍርድ ቤት ኅዳር 25 ላይ እንደገና ጉዳዩን ይሰማሉ. ዴልሂ ከፍተኛ ፍርድ ቤት ዘንድ ተሰሚነት ሁሉም ጉዳዮች ዝውውር ልመና ማንቀሳቀስ እንዳለብን ተናግሯል. የተለያዩ የምንጸልይለት የሚወክለው ማን ነው Kapil Sibbal ጋር ቀንዶች ተቆልፏል. Sibbal እንደገና ትልቅ ላይ ሰዎች ያሉባቸውን ችግሮች ጎላ ዴሞክራሲያዊ ተቋማት (Modi) ላይ ዲክታተር የነፍሰ ታሞ ሁኔታውን ለመቋቋም የተገጠመላቸው እንደሆነ ያረጋግጣሉ. አክለውም አገሪቱ እንዲህ በፍጥነት ብዙ ቁጥር ያላቸው ማስታወሻዎች ለማተም አቅም እንደሌለው ይከራከራሉ. Sibbal ተጨማሪ መንግስት expeditiously እርምጃ አይደለም ከሆነ ‘ሁከት-እንደ ሁኔታ’ እዚያ ሊሆን እንደሚችል ጠቁመዋል. Sibbal የአምላክ መከራከሪያ ሰዎች በተሳሳተ መንገድ ከእነርሱ ተቀማጭ ገንዘብ ማውጣት ያላቸውን መብት ውድቅ ተደርጓል መሆኑን ነው. ዴሞክራሲያዊ ተቋማት (Modi) ላይ ዲክታተር የነፍሰ ይህን ችግር ለመቀነስ እስካሁን እርምጃዎች ወስዷል ምን ላቅ ያለ ፍርድ ቤት ማቅረብ ጊዜ ጠቅላይ ፍርድ ቤት እንደገና ኅዳር 25 ላይ ጉዳዩን ይሰማሉ. ‘ግልጽነት እንዲጨምር’ የኤሌክትሮኒክስ ድምጽ መስጠት ማሽን. አሁን ያለው CEC መላው fraus EVMs እሱም ቢሆን በዓለም ላይ 80 የዲሞክራሲያዊ ጥቅም ላይ ይውላሉ የወረቀት የምርጫ ለ ትእዛዝ ፈጽሞ 2019. ውስጥ ይተካል ይናገራል. አሁን CJI ዲሞክራሲ, እኩልነት, አርነት ግብዣዎችና ለ ሕገ የቁጠባ በትልቁ ፍላጎት ውስጥ የወረቀት የምርጫ ጋር ምርጫ ዳግም ለማግኘት ማዕከላዊ ሁሉ ግዛት መንግሥታት እና ትዕዛዝ ማሰናበት አለበት. لاحظ رئيس المحكمة العليا في الهند أيضا أن تكون هناك حالة شبيهة مكافحة الشغب واذا كنا منع الناس من القدوم إلى المحاكم. فإن المحكمة العليا سماع المسألة مرة أخرى في 25 نوفمبر تشرين الثاني. لاحظ CJI كذلك أن تكون هناك حالة شبيهة مكافحة الشغب واذا كنا منع الناس من القدوم إلى المحاكم. فإن المحكمة العليا سماع المسألة مرة أخرى في 25 نوفمبر تشرين الثاني. الديكتاتور المؤسسات الديمقراطية (مودي) وغير مجهزة للتعامل مع الوضع. واحتج أيضا أن البلد ليس لديه القدرة على طباعة الملاحظات بأعداد كبيرة جدا بسرعة. اقترح Sibbal كذلك أن يمكن أن يكون هناك “الوضع يشبه مكافحة الشغب” إذا كانت الحكومة لا تعمل على وجه السرعة. وكانت حجة Sibbal بأن الناس قد حرموا ظلما حقها في سحب الأموال المودعة بها. العليا ما الخطوات التي اتخذت حتى الآن للحد من الإزعاج. آلات التصويت الإلكترونية إلى “تعزيز الشفافية”. استخدامها في 80 دولة ديمقراطية في العالم. են 80 ժողովրդավարությունների է աշխարհում. keçirəcək hazırlaşır olduğu ifadə edilir. Hindistan baş Ədliyyə daha da məhkəməyə gələn insanların dayandırmaq əgər bir üsyan kimi vəziyyəti olacağını müşahidə. top məhkəmə noyabrın 25-də yenidən məsələni eşidəcəksiniz. CJI daha “biz məhkəmələr gələn insanların dayandırmaq əgər bir üsyan kimi vəziyyət” olacağını müşahidə. top məhkəmə noyabrın 25-də yenidən məsələni eşidəcəksiniz. transfer ərizə hərəkət lazım olduğunu söylədi. olunub ki, iddia. O, daha sonra ölkə belə tez çox sayda qeydləri çap gücü yoxdur ki, müdafiə etdi. Sibbal daha hökuməti vaxtında hərəkət deyil, əgər bir “çevik qüvvət kimi vəziyyət” ola bilər ki, təklif. Sibbal arqumenti insanlar yanlış onların təhvil pul çıxarmaq hüququnu inkar edilmişdir ki, olmuşdur. zaman Ali Məhkəmə yenidən noyabrın 25-də məsələni eşidəcəksiniz. bülletenlərin istifadə Oturacaqların əksəriyyəti qazandı. “Şəffaflığın artırılması” elektron səsvermə maşın. dövlət hökumətləri və qaydada vəzifədən azad olmalıdır.